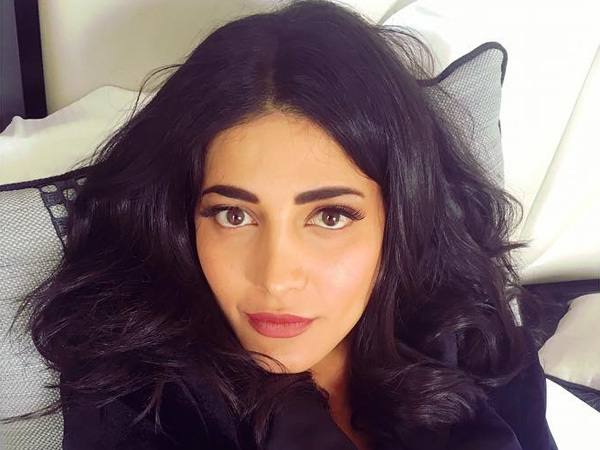 The Town Bird: 7 Of Shruti's Haasan Recent Beauty Look That Call For Wow! 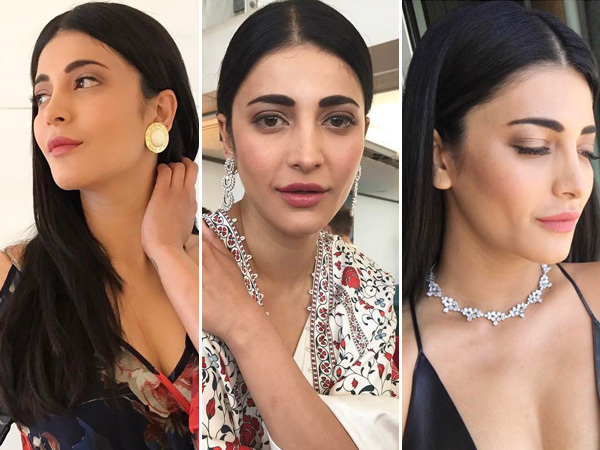 7 Of Shruti's Haasan Recent Beauty Look That Call For Wow! Shruti Haasan is a beautiful face of Indian industry, which has become a prominent face in Bollywood. She is already glorifying her surname, establishing her name in the industry for her fine acting skills. She has been on down low, since last year, however, she ‘slayed’ the world this year with her appearance in Cannes Film Festival this year. Currently, the actress is promoting her upcoming movie ‘Behen Hogi Teri’, and gracing us with her stunning looks at every event. In order to pay a tribute all her recent looks, we have listed 7 of our favorite styles that you should try this season. 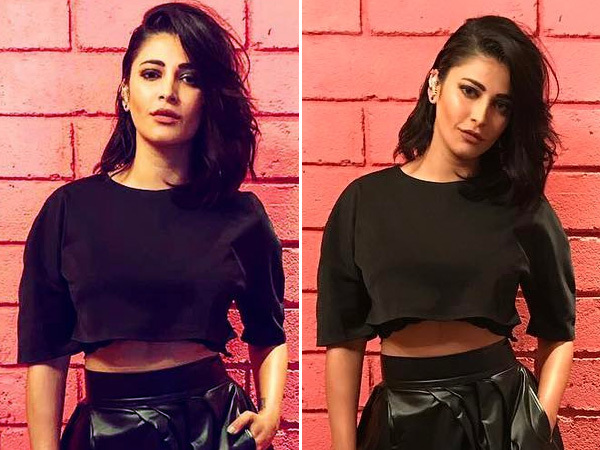 The actress looked fabulous in her all black attire, flaunting her small flat tummy donning a crop top with a leather skirt, which was clubbed with smoky eyes and tousled hair. 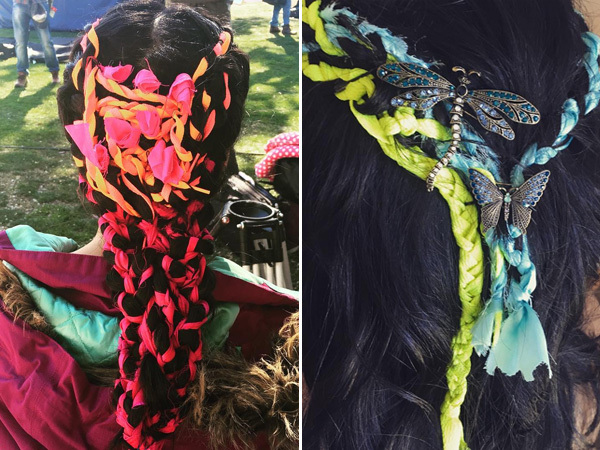 We all are taking hair inspiration from Shruti, as she brought back braids and ribbons back this season. 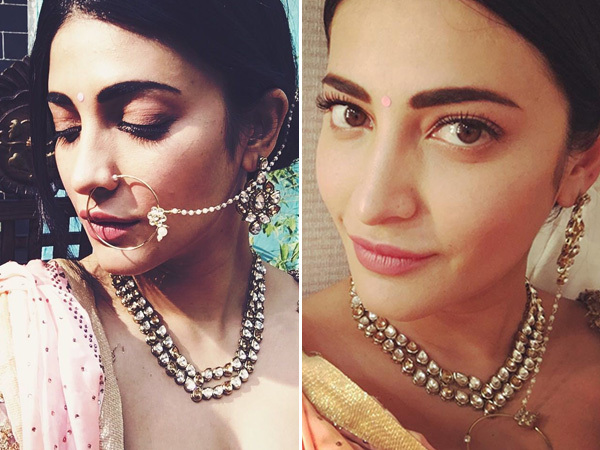 Shruti looked like an Indian Goddess in her all Pink attire, with Pink Jewelry and a Pink bindi. 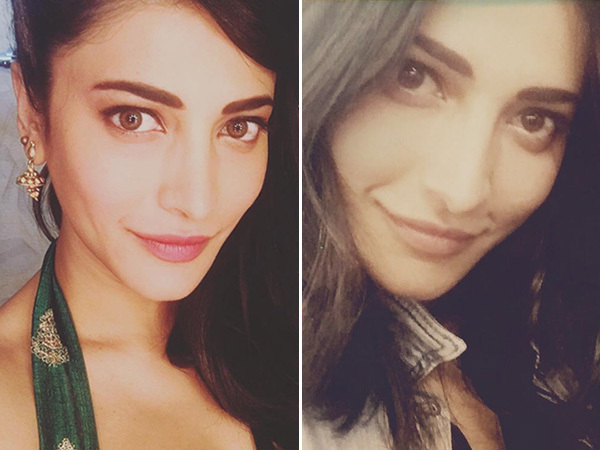 Makeup or without Make-Up Shruti’s eyebrows are always on ‘fleek’. Okay! We will just allow you stare at this beautiful. Be it an intense look, or a no makeup looks, her makeup is always so perfect and glowing. 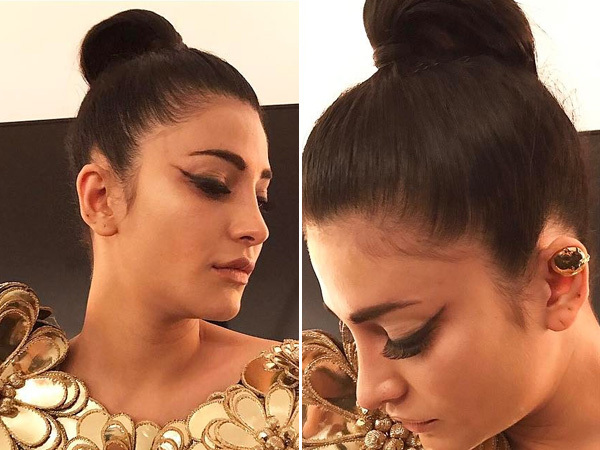 Shruti’s wing eyeliner and a tight bun is a perfect look for any event be it a date or a night out, so guess I should start practicing this look.